If you own an online business or you are a blogger and you want to increase your customers base and the number of people in your network, then Facebook Page is VERY essential for you. It has helped many businesses increase their customers/clients thereby increasing their profits. 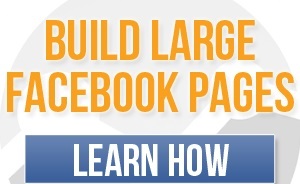 Facebook Page still has the capability to do more for your online business. 1. Choose a well thought name for your page. Once it’s created, you can’t change it back. You wouldn’t want to make that mistake. One more thing is that Google crawls Facebook and puts whatever it sees on Facebook on their search results. So whenever someone searches for a keyword related to the name of your Facebook Page, he/she should be able to see your Facebook Page listed on the results. 2. Decide what kind of picture you would use. This can either be a logo, or a picture of you. This is really up to you, but think about this, if you were a fan of a website or a blog, which would you rather interact with? A logo, or the actual person you’re engaging in conversation with? Let that determine what type of picture you would use. 3. Make your Page lively before you try and get fans. This is simply because you won’t get any fans if you have a blank page wall. Write different stuffs that will make people have interest in you and your Facebook Page. 4. As soon as you get 25 fans, you should change the URL of your to something easier to remember. It’s a lot easier to say, “check out www.facebook.com/mmonigeria”, instead of “check out www.facebook.com/pages/mmo-nigeria/823209830453 or whatever your URL was the first time you created the Fan Page. You can customize the URL by going to https://www.facebook.com/username. Again, put some thought into the customized URL. Most likely, the same address as your blog or your name will be your best option. That depends on what or who you are promoting. 6. Simply direct people to the link you have just created. If there’s one thing you take away from this post, this is it. In order to convert people who head over to your Page into fans, you must use a landing page. Without it, new visitors will be taken straight to your wall, which is ugly and doesn’t really tell people exactly what to do. They’ll see all of the conversations going on, links and pictures everywhere and they’ll probably end up leaving because they have no clue what to do, or what’s in it for them to become a fan.